Science educational resources at Las Cienegas National Conservation Area relate to water, wildlife, plants, and citizen science. Follow a link below or scroll down for all resources. Las Cienegas National Conservation Area is special because it is one place in our wild landscape where there is water year-round. Because of Cienega Creek’s perennial flow, the area is home to many animal species that depend on the precious desert water. Las Cienegas is home to five distinct vegetative communities. Involve students in monitoring projects to aid scientific research. 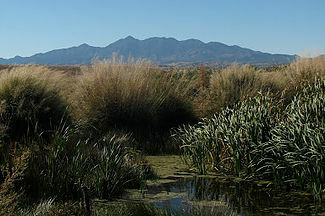 A cienega at Las Cienegas National Conservation Area. An overview of the significance of Cienega Creek. Arizona Daily Star article about how drought is affecting Cienega Creek. A brief report by the Sonoran Institute about conserving land around Cienega Creek. A report that summarizes years of monitoring data and examines the water level trend for Cienega Creek. A PowerPoint presentation “Water Resource Trends in the Cienega Watershed” created by Pima Association of Government staff, presented June 8, 2013. Great for having students learn to read tables and graphs and interpret data. 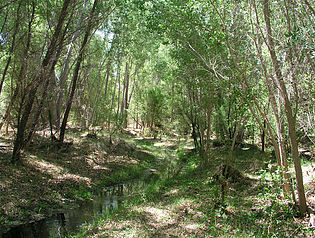 Riparian habitat at Las Cienegas National Conservation Area. Pronghorn antelope in the Cienega Watershed. A clear and concise article written for a University of Arizona environmental writing class about the prairie dog project. 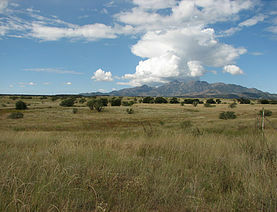 Grasslands of the Las Cienegas. Las Cienegas is home to a great diversity of plant life. A large expanse of intact rare desert grasslands grow near other interesting species that thrive in the area’s riparian corridor. Watch these short videos about mesquite trees and their relationship to the grasslands.